Designed by Jason Wu himself and now sporting a fierce, 100% newly articulated body sculpt, coupled with glamorous new accessories and plenty of attitude, this revamped incarnation of one of Integrity Toys’ most iconic celebrity dolls is sure to add a ton of sass to your collection! 12.5” of fully articulated diva greatness! 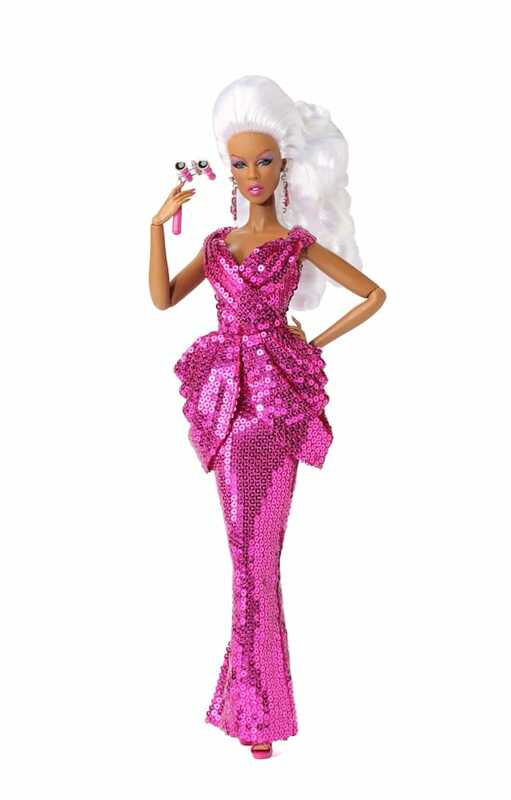 Meet the new RuPaul doll, as imagined by Jason Wu! Comes dressed in a fantastic micro-sequined gown, paper white bouffant hairdo, shoes, jewelry and RuPaul’s signature opera glasses. Includes a doll stand and a certificate of authenticity. Clad in gold from head to toe, Mama Ru means business and is more than happy to share her latest wares with her fans *wink, wink*. Be it a miniature of her own signature chocolate bar, a miniature of her latest book, GURU, or a miniature set of her latest makeup collab with Mally Beauty, this doll has it all! 12.5” articulated vinyl doll with fully rooted hair. Extra hands, doll stand and certificate of authenticity included.